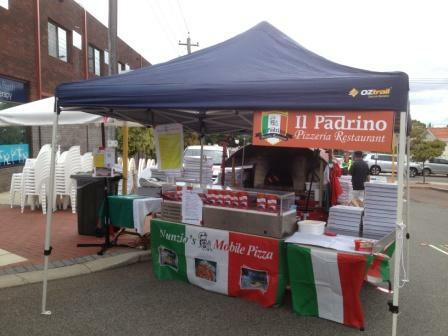 Perth’s Pizza King Nunzio Nici will bring his mobile wood fired pizza oven to your function, where he himself (or one of his qualified chefs)will create the some mouth -watering pizzas which are served to many delighted customers at his Il Padrino Pizzeria Restaurant in Northbridge. Sport clubs, parties, School, Public and Social events. 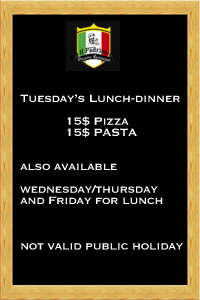 Enjoy Nunzio’s world famous wood fired pizza for any occasion. 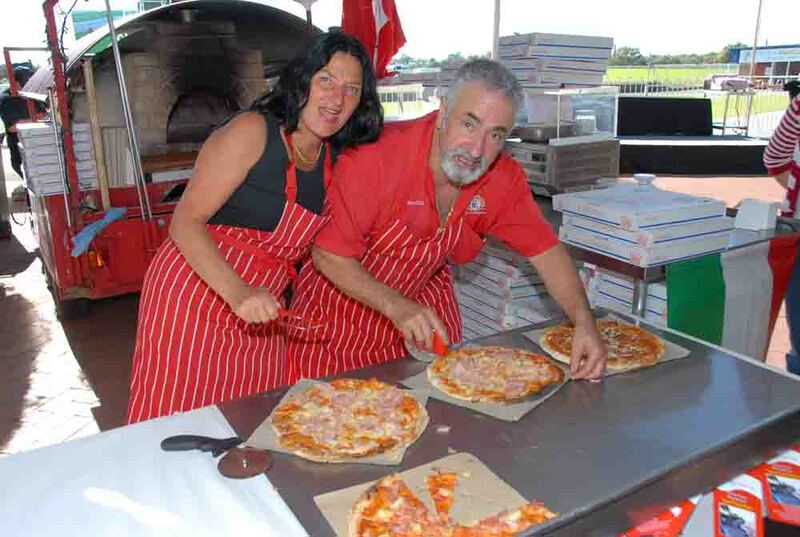 Have you own professional pizza chef and wood fire oven delivered to you. Includes a woodfire oven trailer and chef, all the pizza you and your guests can eat. ONLY $1350 for 50 guests (minimum cost & guests) plus $20 per person over minimum guests. Travel fee of $100 outside of metropolitan area will apply. Two hours maximum allowed for pizza oven and chef on site. For further enquires please do not hesitate to contact Chef Nunzio on .